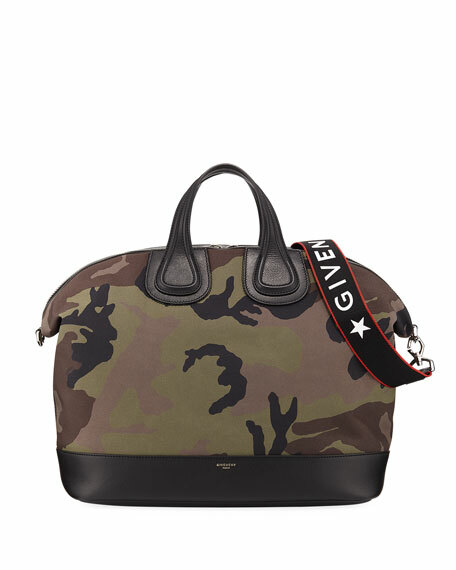 Givenchy men's satchel bag in camouflage-print canvas. 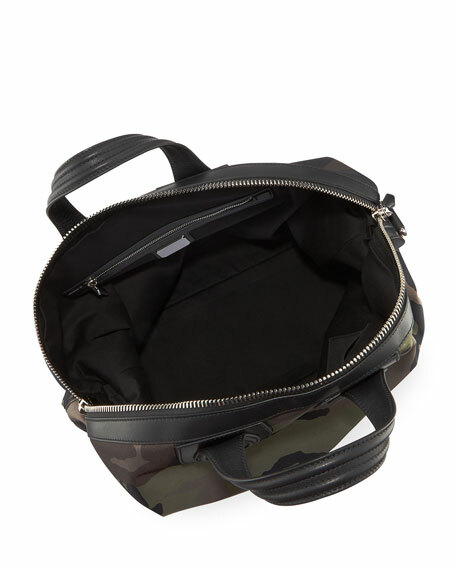 Removable, adjustable shoulder strap with zipper detail. Logo detail at base of bag. For in-store inquiries, use sku #2395950.